Fremdtunes is a Dutch independent recordlabel/collective/blog. Our main focus is on (instrumental) producer-based music, from trip-hop to glitch to rare groove to hip-hop. From funkjazz and skweee to electro and turntablism. Danceable music with beats, bass & balls that move both the crowd and critics. 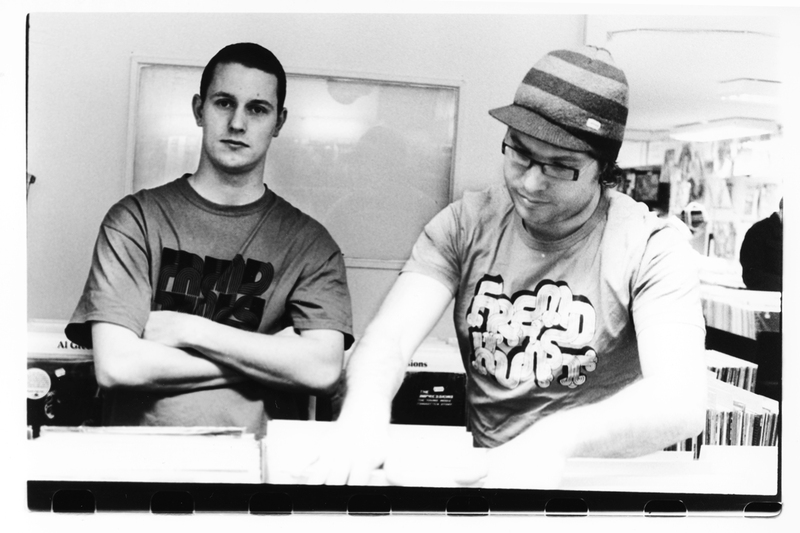 Fremdtunes’ first release was the album Fremdkunst by DJ Mace. Fremdkunst was initially released independently in 2007 and was re-released in a new and revamped style. It was the key inspiration for starting Fremdtunes, so it’s only right that this album was the label’s first release. Other releases include music by artists like DJ Optimus, Kelpe, Coco Bryce, Kid Sundance, Soosh, DJ Devastate, Moods, Jameszoo, Emufucka, Julian Edwardes and Big Mister Doom. Design is important to Fremdtunes. The music and design of each release are complimentary and showcase the music’s authenticity and creativity. We work with renowned designers/artists such as Adam Oostenbrink, Klaas Verplancke, Graphic Surgery & Henk Loorbach and set up projects like Reprogram, Supertunes & SEE-A-SOUND. We want to share good music with the world. Good, to us, does not mean ‘contemporary’, ‘hypernew’, ‘conceptual’ or ‘by the rules’. It also doesn’t mean ‘because everybody likes it’ or ‘gets a 3 zillion plays on Soundcloud’. We mean: music with character. Conservative tunes that go mental. Experimental music which sounds pretty normal after all. Tunes that are made in a way we can relate to. Made with a clear or very vague purpose or with no purpose at all. Made by persons who are looking for a rebel base of like-minded individuals, a pit-stop or a breathing space. And whose works shout: ‘independence!’. Fremdtunes was initiated by Rogier van Hout (’s-Hertogenbosch) and Neels Smeekens (Rotterdam). These gentlemen combine over 35 years of experience as producers/DJ’s (as DJ Mace and DJ Optimus) in the hiphop-, beats- and jazzscene. Mace and Optimus have worked with a vast variety of artists such as Aka Moon, Coco Bryce, Baba Sissoko, Erwin Vann, Eric Vloeimans, El da Sensei and Rasco.